Live life to the fullest in a serene place where you can have it all. 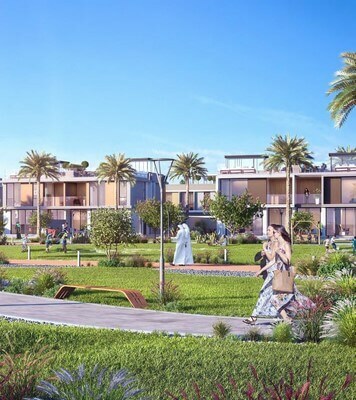 At Golf Grove Emaar, create wonderful memories with your loved ones; revitalize your mind, soul, and body; and break free from the hustle of daily commute to your workplace. 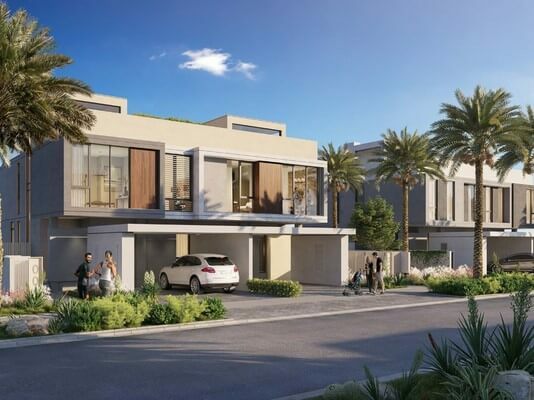 Located along the 18-hole championship golf course set in a family-oriented neighborhood, this upscale spot is slated to be one of the most exclusive communities in the heart of the metropolis with its 3- and 4-bedroom villas ranging from 2930 sq. ft to 3365 sq. ft. 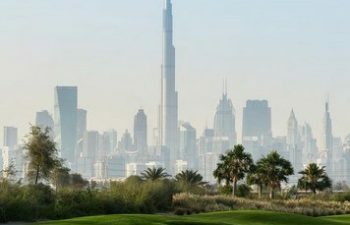 It is home to lush green landscapes, parks, rolling fairways, and a suite of luxurious facilities such as the golf course and clubhouse. 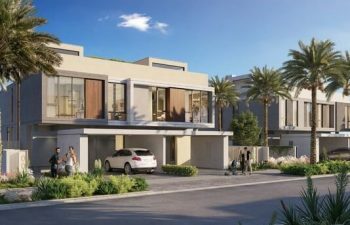 Add to this a spectrum of dining and retail selections, Golf Grove Dubai sets the benchmark for a high-class community lifestyle in the 21st century. 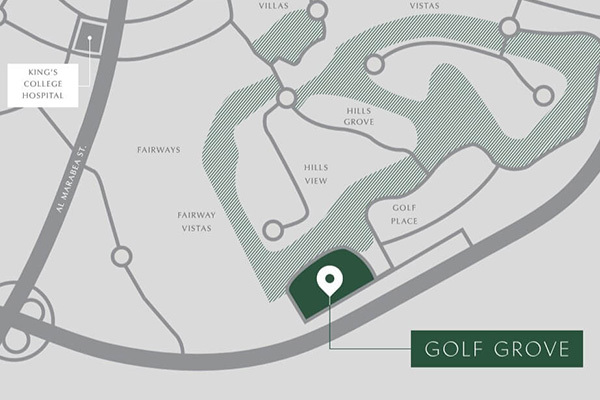 Featuring a suite of amenities that offer a perfect balance of sheer opulence and supreme convenience for an active lifestyle, Golf Grove offers a wealth of impressive opportunities for the entire community. It was conceived to foster well-being and harmony amidst the hustle and bustle of the city. 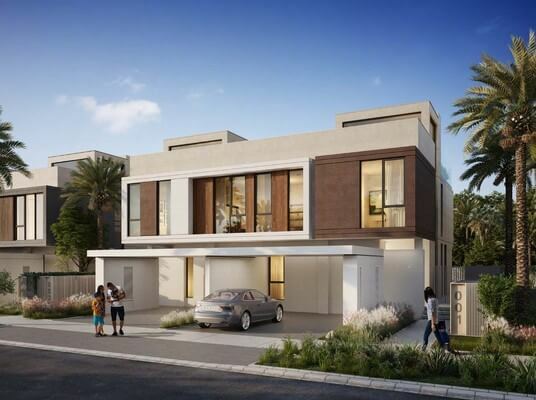 The neighbourhood features three schools making Golf Grove Dubai an ideal location to raise a family. 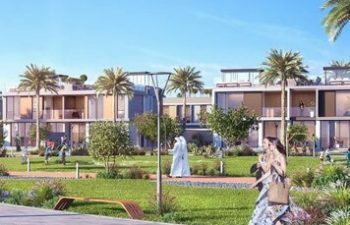 With exclusive selections such as Gems International School, world-class education facilities, and pleasant areas for your children to play after school, this community offers a promising opportunity to create a bright future. Three distinct architectural styles are available to suit your taste for a material palette, each featuring a private rooftop terrace overlooking lush green landscapes and the city’s skyline. 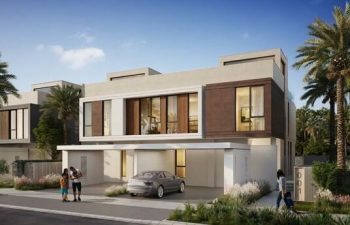 Immerse yourself in the beauty of contemporary-inspired designs of stand-alone villas featuring deep inset walls, glazing, and shadow-casting window screens. 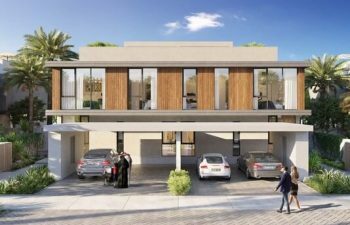 Indulge in comfort like never before in these modern villas with a salient highlight on the building’s mass for a compact and clean-cut look. 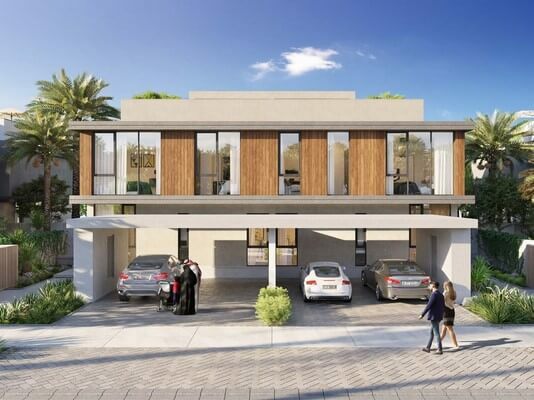 Experience home sweet home at its finest in these contemporary villas featuring clean lines, a simple yet elegant material palette, and breathtaking views of nature. Golf Grove saves your time on the daily commute and brings you closer to all the comforts and conveniences your family needs including schools, hospitals and metro stations.